Clay lamp from Nightmute with grass lamp holder made by Albertina Dull. Frank Andrew noted: "Lamps were hung from the posts with braided sinew or skin. There were four of them, and they were held with twined grass. All the posts in the house had lamps. They would seem bright." 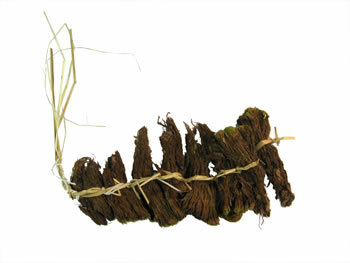 Dried-moss lamp wicks were also dipped in seal oil and used as fire starters. Theresa Moses remembered using them as flashlights: "They took a piece dipped in seal oil, and if they went out to the food cache at night, they used it as a light." 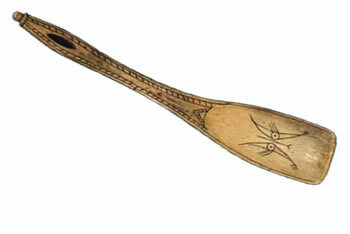 Ladle from the Kuskokwim, decorated with a toothy-mouthed creature. Frank Andrew said, "Decorations varied on different people's things, and each had their own emblem from their ancestors." 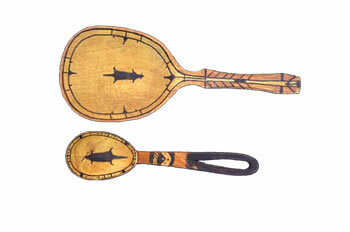 Ipuutek/Ladles from the Kuskokwim, probably made by the same man and displaying his family design. Willie Kamkoff compared these designs to signatures: "They did not write their names on things but made decorations for identification using their ancestors' marks." 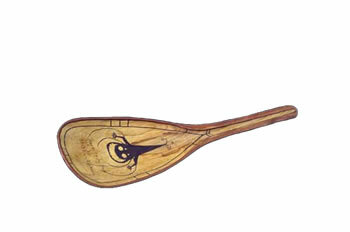 Spoon with a common Kuskokwim design that also appears on bowls and dishes. Cockle shell used as a spoon. Frank Andrew recalled: "We never threw them away but put them in grass containers with the other spoons and hung them. 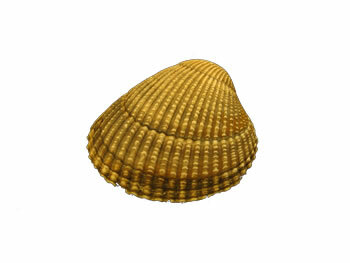 Those elders had wooden spoons, but we young people had shells." Pestle carved from a walrus tusk with eagle-head handle. 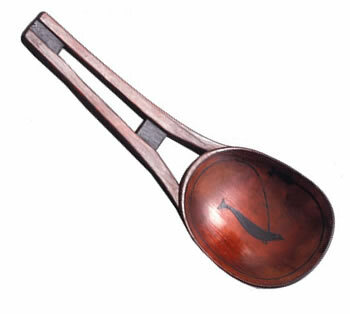 Paul John recalled: "I watched my grandmother use a pestle to crush needlefish inside a wooden bowl, removing their little spikes. She'd also use it to crush fish liver she was getting ready to make akutaq. 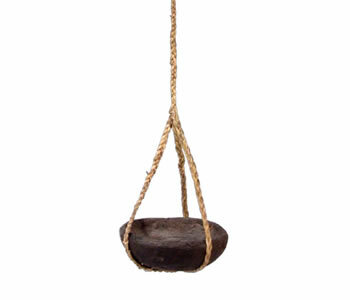 Women used this tool for many tasks."